scholarship scheme to all general category or Un Reserved category students. There are two type of scholarship scheme launched by Government. First one is know as pre matric and 2nd is post matric. We will discuss here about the post matric scholarship scheme for General / UR / Reserved candidates of uttar pradesh. Posts matric scholarship is provide for encouraging student to continue there post matric education in good institution. government help poor students who are not able pay there course fee via Fee Reimbursement . Domicile : all student of India who are permanent domicile holder of uttar pradesh are eligible for fee Reimbursement and scholarship. 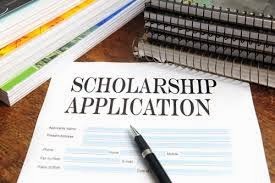 This scholarship is given every year to your program duration. Eligibility criteria: only domicile holder of UP can fill application form for Post matric scholarship in state of uttar pradesh . Course and program: this fee Reimbursement covers mostly all program and courses offered by government / private colleges expect few course. Domicile Certificate : must be issued by Tehsil , SDM level and should be traceable at the revenue department official website of uttar pradesh .